After having her third child this mom decided to ditch her tweezers and rock her unibrow! Shari Loeffler from New York in the US now proudly sports her brow with pride in pictures with her kids and husband, Nicholas. “When I was 10 years old I was at my cousin’s birthday party. I was surrounded by a group of boys who were two years older than me,” says Shari. “When they saw me I could see some of them whispering and laughing at my appearance. And I remember at one point a handful of boys started to trace their own eyebrows and have it crawl down their face and then up their legs and arms as if it was a symbol of my hairiness, like a railroad track all over my body. The now 38-year-old decided to pluck her eyebrows when she just 13 years old, after having been bullied at school about her appearance. “I refused to have this identity that plagued me so much follow me, so for the next 24 years I did what I could to strip away the stigma of my unibrow and hide from it,” she says. For over two decades the mom of three continued to hide behind her perfectly groomed brows until last year while working alongside her kids in Long Island. 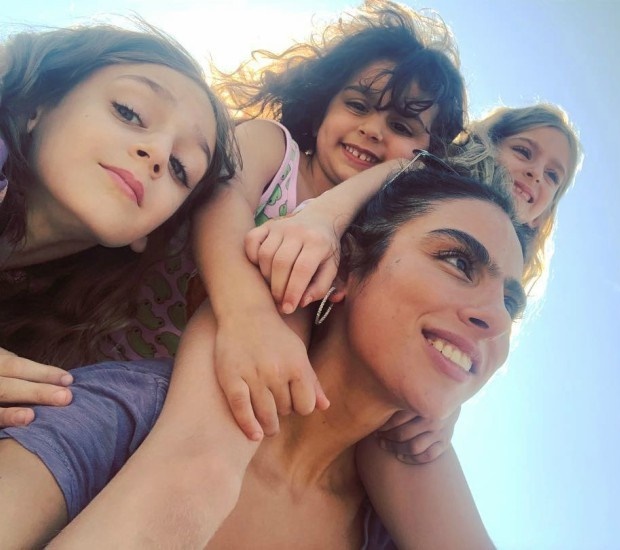 “Fast-forward to being a 37-year-old, a mother of three children and seeing how girls are portrayed in the media, I decided to make a positive impact for my kids and myself. 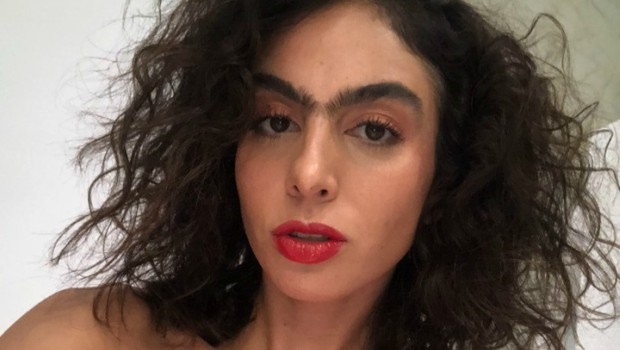 Shari, who’s of Persian descent, decided to embrace her natural look and stopped plucking and shaping her eyebrows in an attempt to encourage her kids to embrace their unique features. “I started to re-examine my identity [in] a relation to beauty standards and [the] time it took to create an image that I started to see as visually pleasing. “How do I want to accept myself? Why do I feel compelled to look a certain way? How do I want to be a role model to my children? As a result, I stopped tweezing my eyebrows,” says the mom. Shari says she started examining her identity after the birth of her youngest child. “With my baby - she looks a lot like me - so with her, I remember thinking she resembles me and my colouring, so maybe she will have to deal with it,” she says. Shari’s Instagram account has attracted many other girls who’ve faced similar insecurities. “One girl said to me; ‘I admire your mindful words so very much. I have an Arab background. I have struggled with thick eyebrows and body hair my whole life’,” says Shari.